Where Do We Circle The Wagons? As I mentioned in a previous article, we are being overwhelmed with one crisis after another in rapid fire succession. This is meant to keep everyone off balance and prevent any meaningful defense by the population. Before we can react to one crisis another rears its ugly head and diverts our attention causing many to ignore the recent crisis for the new one. Its all planned that way. So how do we defeat this plan? We cannot fight every crisis with the hope of winning. We can only try to see the bigger picture and build a wall that can keep the problems far enough away from us to carry on with our own agenda. The final protective line that we have to protect ourselves is the right to bear arms. Without this, we have no defenses against those who mean to destroy what we now have. That being said, the right to bear arms is not necessarily the ground we need to hold in and of itself. The most logical place to draw our line is at the county line. This creates an area small enough to defend from many different threats but large enough to enable life to continue as we wish. The ability to control the county government and the position of sheriff is where Americans need to circle the wagons. The ability to control the local government gives the community the ability to resist any state and federal regulations and laws they see as a threat to their well being. The ability to decide what regulations to implement in the community can preserve and protect individual and property rights from outside interests that wish to destroy them. The sheriff provides the legitimate law enforcement authority within the county that can stop the enforcement of destructive policies by outside enforcers working against the community. But why the county level? This is the last line of defense against outside forces before they get to your front door. Local government is the only level that has daily contact with those it works for and can feel the ire of taxpayers immediately and directly. By controlling the county government and sheriff, communities provide themselves with an island of sanity that they control. The county community has the ability to produce at least some of the necessities they need such as food. They have the benefit of collective security in the form of a police department and services such as medical and fire. They have the ability to utilize an alternative local currency. The community has the benefit of drawing on the skills of the community as a whole. While most states have diverse groups that can lean left or right and tend to pull against one another, individual counties tend to have a majority of one or the other making a consensus much easier. Those leaning left will likely seek government control and solutions to problems while those leaning right will have more individualistic tendencies that steer them toward local solutions and control. It is the right of center counties that hold the best hope of maintaining a functional economy and society when the system fails in some way. Conservative communities also tend to hold more traditional values that help to maintain law and order during emergencies. The majority of liberals hold the idea that almost nothing is taboo and this allows them to be opportunists and do bad things that society holds as wrong but they see as justified leading to a breakdown in law and order many times. It is for these reasons that the more conservative counties need to be the ground that is held against those seeking to radically change the nation. Keep in mind the problem-reaction-solution plan that the radicals in the U.S. now use to implement their agenda. By denying the radical elements a foothold in your county you will maintain individual and property rights to a larger degree. From a county level you have a legal structure to fight off unwanted attacks on liberties and freedoms that those in some circles wish to obliterate for the greater good. This is one of the things you need to look at where you live or intend to go. You need to determine if the residents in this area are right of center and willing to defend their rights as individuals. It is in these areas that you stand the best chance to hold the line against radical change that will undermine yours and future generations. One only needs to look at progressive areas of the country and see the governments and taxpayers being bled to death by these liberal ideas. They constantly call for more taxes and more government subsidies to maintain the system. They expect someone else to solve the inherent problems with the system as it is as they continue the status quo. The free flow of money is the only thing that keeps these areas together in good times and in desperate times when the cash flow stops they have no plan to fall back on except brute force and tyrannical rule. It is for these reasons that these locations must be abandoned to their ultimate fate. The only way to insure stability in the future when the system breaks down is for the county institutions to be independent from outside funding sources. This requires the takeover of local government by those that understand the threat and are willing to take measures to reduce the potential damage in the crisis to come. It will depend on these people to educate the community and determine a course of action to limit the damage from a crumbling system. Dangers are imbedded into county functions by the radical globalists on the left and the right. They make the local government dependant on outside money just as they make the individual dependant on government supports and once this takes root, it is difficult to end just as drug addicts find it difficult to stop the habit that is slowly killing them. The dealer owns the addict just as radical government entities own the recipients of government money. They know this and is the reason they fight tooth and nail to continue funding programs that do more harm than good and prove to be wasteful. While this article deals mainly with the physical world there is another realm that must go hand in hand with these actions. Those that believe in something can endure far longer than those that believe in nothing. The ultimate victory will only happen when those who wage the good fight have made their peace with God and carry his word in their heart and wear his resolve as armor. Victory in the end must encompass the return to traditional values and rejection of the perverted lifestyles and pure evil institutions we have created. The physical land that is defended must also encompass Christian values if we are to have any future. This is the ground that must be defended at all costs to insure the constitutional principles that made us cohesive and prosperous will continue in the future. When you ask what power an individual county can hope to wield you only need to remember this tidbit from history. History may not repeat but it does rhyme. The county level of government is where people can make the most difference in the final outcome. Enough counties can control the state, and enough states can control the national government. This is the battle ground. This is where we need to circle the wagons and dig in for the fight that is to come and if it ends in failure at least you can say you did your best. Many people feel WWIII is looming closer. For those in North America the next world war is well under way but it will not be exactly what they had planned on. The mass of humanity crossing the southern U.S. border is nothing less than a Third World war being waged on the first world countries of America and Canada. This is all part of the planned North American Union that will be forced on the citizens of those countries. Prosperous citizens have the means to protect their rights but impoverished citizens can only beg for government assistance or flee to some other place. Citizens of Canada should take notice of what is happening to their south because it will eventually happen there too. Third world dictators will continue to send their poor north to eliminate discourse among their people and make it someone elses problem. The collusion between the government, the bankers, the drug cartels, government agencies and international interests are combining to deliver a lethal blow to the freedoms and prosperity we now take for granted. These groups want America to be completely destroyed for their own nefarious purposes. They have a plan and it is now unfolding before us. Just like in the movie Force Ten From Navarone, where the enemy has discovered they intend to blow up the bridge so they reinforce it, but the men change their plan and they decide to blow up the dam above the bridge and let the water undermine the structure of the bridge and destroy it. This is the type of war we are now fighting. The enemy will do things to undermine our structure without directly attacking it in order to do us in. This is the third world war that will destroy America. When the money changers have absolute control of their new North American Union they will finally have the utopia they have sought for themselves. The utopia the masses were expecting will never come. This will educate the masses to what socialism really is but they will learn this lesson too late to do anything about it. Another war will tear the Middle East apart probably with nuclear weapons but by then Americans will be too preoccupied with daily survival to care. It is all in the cards and this will likely come to pass. The invading armies that many Americans fear will one day come are here now. Many of the soldiers are smaller and younger than expected but that will change with time. It will only take a few years for these potential soldiers to grow into adults that will be recruited to help subjugate the continent. Some of the first wave are already trained and financed by the drug cartels. Gangs working with the drug cartels and the government are even now being pre-positioned for future operations against Americans. MS-13 and other gang members will be on one side with DHS on the other and helpless Americans caught in the middle of this pincer move. For those preparing to survive what may come in the future, this is truly a nightmare scenario and that is exactly how it will unfold. The fighting that will likely take place on this continent in the near future will be bloody and those that survive it will be hard pressed to retain their humanity. The illegals are flooding in, the UN is pre-positioning equipment and DHS has armed all of its agencies to the teeth. Once enough illegals have arrived and been dispersed around the country all that is needed to begin the next phase is a trigger event. The diseases that these illegals carry may be just such an event. The reasoning for all of the current scandals is simple. The best way to take down the enemy is to overwhelm him and prevent any meaningful defense from him. Middle class Americans are the new enemy. This is what is happening in America right now. 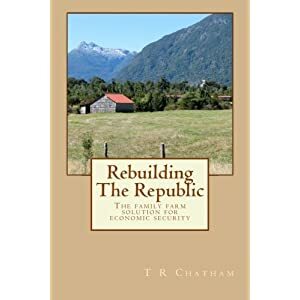 We are being overwhelmed with one crisis after another to prevent Americans from forming any type of defense against the transformation taking place in this country that will destroy the social structure we depend on to insure prosperity and stability. Only if enough Americans realize the nature of what is happening and form a basic defensive strategy will they be able to defend themselves against what is to come. It will be impossible to fight every battle in every location and expect to win. Only when we pick a piece of ground and decide to defend it at all costs will we have any chance of success. That is to say we must decide what battle is the most important and put everything into that to have any hope of victory. Its time to pick our ground and circle the wagons and prepare to defend it to the end. Victory belongs to the most committed. It is becoming harder every day to keep up with rising prices in a declining economy. This type of situation is often referred to as stagflation. Your income stagnates while prices rise making life ever more difficult. In the situation many Americans now find themselves in, they will need to develop a business of their own to replace the ones that are now disappearing at an alarming rate. The best businesses to be in in the future are those that provide a basic necessity to the population. For those with a small plot of land that need to support themselves, it becomes necessary to maximize the income from that land. Many people make good money from produce which can be grown intensively in many cases but unless you live in southern latitudes you can only grow most things for part of the year. While produce is a sure money maker in most cases it cannot be stored for very long making it difficult to provide income on a regular basis throughout the year. Growing things such as grain is one way to insure you can store a product for sale the year through but unprocessed grain does not provide very high profits on a small scale. An acre of corn will only provide you with several hundred dollars gross per acre so a large field is required to make any reasonable profit. But, what if you could make thousands of dollars per acre instead of hundreds? This would make the small plot you have more viable as an income source. A bushel of corn sells for about $6 depending on the season and available stocks. That same bushel of corn when ground into cornmeal will generate around $36 on a retail level. The ability to grind your own grains for resale provides you with the opportunity to maximize profits on your small acreage. It is easy to find a produce stand in rural areas but how many sell value added products like cornmeal or flour? This can provide you with a product that few others have and if you have sufficient acreage, you can produce enough to sell throughout the year. With small scale grain raising, you have the ability to grow heritage plants in an organic way. Many people now seek organic feeds for their livestock making organic grains a growing business. You will not make the maximum profit per bushel selling as feed but if you have sufficient land, it can increase your profits immensely. Another product you can provide at the same time are seeds. Having the ability to produce seeds for sale can reap huge profits if your selling base is large enough. A bushel of heritage corn can sell for as much as $1,200 when broken down into small packets for home gardens. Value added products are not limited to grains. If you have a sizable woodlot, a small portable mill can provide you with lumber to sell. With a flock of chickens you can sell eggs for a few dollars a dozen or you can hatch them out and get a few dollars per chick. Those that can raise and process meat can increase their profits considerably over the sale of live animals. Making cheese or ice cream from excess milk adds a lot of value to dairy products. Making products such as sorghum syrup, rolled oats or honey are products that are not made by everyone that sells produce so you will have the ability to draw people to your business for these specialty items. In the search for better profits from your small plot, it is necessary to develop a customer base that you can depend on for repeat sales. Repeat customers are the basis of any profitable business regardless of the product. Having a business location where your customers can come to view your products and fulfill their needs is the very best way to build a small business that can provide income during difficult times. Your ability to control your products from harvest to sale will allow you to remain competitive in the marketplace and reap the maximum profit from your products. Using available resources to their maximum potential is the way Americans built this country up from the wilderness they found. Making a product to sell is the only way to produce real wealth. The act of producing value added goods requires knowledge and equipment. By analyzing your potential and that of your land you will be able to determine what you are capable of and what equipment you will need to build up your business. By making up a list of what you need to do you will be able to plan out a strategy that may take a few years to realize but can provide you with the ability to be productive and stay ahead of a declining business environment where basic necessities will always be in demand. Much is now being made of the recent immigrant influx that carries many different problems. It will put even more pressure on the social net that many now depend on due to a declining economy. The addition of tens of thousands of new people that need government services will no doubt cause a decrease in services to those already getting it. About 48 million Americans now need food stamps just to have enough to eat. Additional mouths to feed will no doubt put more strain on the food supply that is now rising in price due to money printing, drought, crop failures and livestock diseases that have decimated herds and led to multi-decade lows in supply. The rapidly changing demographics are having local effects. In Fairfax County, Va. The kindergarten classes now have a 40% enrollment of children that need English assistance. This has lead to children with lower test scores as they attempt to overcome the handicap of coming from another culture. The teachers report many of these children must be taught things that were previously taken as a given such as understanding pronunciations of similar words and even how to zip up a jacket because they never owned one before. The most serious effects of this new unchecked immigration is now causing medical professionals to raise alarms due to the medical condition of these children. Many of them are coming to the U.S. from very poor and unsanitary conditions that have been a breeding ground for diseases that have been all but eradicated in the U.S. for many years. Because these diseases are rare here many in the population are at risk of contracting these diseases causing additional strain on our rapidly becoming dysfunctional healthcare system. Some of the diseases either identified or suspected in these immigrants are scabies, swine flu, herpes, drug resistant TB, chicken pox, MRSA, Chikungunya, Dengue Fever and Ebola. Some of these diseases have a 90% mortality rate. Some of the immigrants coming across the border have been identified as coming from West Africa where an Ebola outbreak is now present in seven countries. Border Patrol agents are now being infected with some of these diseases and now require treatment. Most alarming is the fact that these immigrants are being processed only in a basic way and are being put on public transportation within 72 hours of arrival and being sent to destinations across America putting anyone that comes in contact with them at risk. This unchecked immigration has the potential of causing outbreaks across the country of several different diseases at once. This would truly be a worst case scenario especially in the case of diseases that have no cures. A scenario discussed several years ago involved an avian flu outbreak. One individual traveling by air has the ability to pass disease to others who then pass it on affecting thousands in a mater of days. In a pandemic, transportation systems will eventually be shut down to prevent spreading the disease further but this will likely come too late to do much good. As people become sick and stop going to work the distribution system nationwide will slow and eventually stop as truckers are unable to deliver loads. Public gatherings would be canceled and many people that are not affected will go into self imposed quarantine to stay healthy. Stores would close due to sickness and lack of products that are no longer being transported. This would cause problems among the population especially with regard to food. Since many people do not store more than a few days worth of food, they would become desperate adding to the problems in society. Even those that need to go to work would soon find it difficult to get there because many gas stations would likely close or run out of fuel. In a worst case scenario society would come to a complete halt. The problem with any type of pandemic is that unlike a hurricane, it will not come and go quickly. It will likely be with us for one to two years before it dies out. In the meantime, there will likely be cases of the disease in various places at any given time. Even if you are stocked up sufficiently, how long would you be able to avoid contact with others in society? How long would you be able to stay home from work? How would you continue to pay bills? These are questions you need to ask now while you make preparations. Another stress point is the fact that burial for the surge of dead would be difficult to deal with. The just in time delivery system also applies to caskets and grave markers. During the 1918 pandemic there were waiting lists for funerals because there were not enough caskets. With globalization, a pandemic anywhere will be everywhere very quickly. This would shut down global trade just like it would shut down national trade. It would likely usher in a global depression. In discussing the problems that would have to be dealt with one of the things that came up was the fact that nobody knew how we would get the economy restarted once it shut down. Those that are fortunate enough to avoid the disease will still be susceptible to it and even if a cure is created, it could be years before it has run its course through the population. Because of this it is prudent for individuals to be prepared to shelter in place for days or weeks and that means you must have the necessary supplies already on hand before something like this hits. The warning sirens have sounded, so the next move is up to you.